In honor of National Chemistry Week 2018, I thought it would be appropriate to share some insight on what astrochemistry is, especially since this year’s theme is “chemistry is out of this world.” I have found that, even if they have at least heard of the field of astrochemistry, most people—including most chemists with whom I’ve interacted—aren’t familiar with what astrochemistry research entails. I’ll save what astrochemists actually do for a future post, but for now I’ll elaborate on a simple yet accurate definition of the field. Astrochemistry is the study of molecules in space: where they are, how they got there, and what they are doing. I love this definition, which I first heard from fellow astrochemist Dr. Brett McGuire, because it succinctly sums up just about every research question there is in the field. So, where are molecules in space, and how did they get there? What are they doing? Various forms of these questions are actively being investigated, but I’ll give a sweeping overview. Where are molecules in space? If you are like me and grew up thinking that the spaces between stars were empty, you will be excited to find out that molecules are everywhere in space! Sure, interstellar space is relatively empty compared to what we experience here on Earth, but it is still chockfull of molecules we can detect and study using telescopes pointed toward distant objects thousands and millions and even billions of lightyears away. The saga of molecules in space is one that begins about 13.8 billion years ago. At the very beginning of the universe, hydrogen and helium atoms were formed just moments (within 0.01 to 200 seconds) after the Big Bang. Hydrogen and helium gas clumped together to form the first stars, which fused these atoms together in their cores to form heavier elements which astronomers call metals. (As a chemist by training, the definition of metal being anything heavier than helium makes me cringe... except when in the presence of other chemists where I can be entertained by their disgusted reactions instead!) When these first stars died they spewed these "metals" across the universe. After things settle down following star death, nebulae—or clouds of dust and gas that are more affectionately referred to as stellar nurseries—form. It is in these clouds that molecules, from the ever-abundant diatomic hydrogen H2 to the complex organic molecules which have six or more atoms, first emerge. These molecules evolve, bonding together and breaking apart, as the stars within these molecular clouds also evolve from "cores" (dense clumps of dust and gas to protostars) to protostars (cores just on the brink of fusing hydrogen into helium, at which point they will be "born" into fully-fledged stars) and protoplanetary disks (gas and dust around a young star pushed out into a flattened disk by angular momentum where planetary bodies will form). Eventually, these stars also die, and the cycle continues. Comets and meteorites exhibit even more evolved chemistries than molecular clouds and protoplanetary disks, and these objects are thought to deliver molecules to planetary bodies, including the early Earth. Thus, not only are molecules in space formed in situ, or where they are found, but they might also be transported about. Molecules in space are doing exactly what molecules on Earth are doing: forming, interacting, being destroyed. The difference, however, is that molecules in space are generally doing these things at extreme conditions by Earth's standards. For instance, polycyclic aromatic hydrocarbons—also called PAHs, the byproducts of combustion found in vehicle exhaust, for instance—are thought to form in the outflows of stars at temperatures around 1100 Kelvin (827°C, 442°F). On the other hand of the celestial thermometer, some molecules are thought to form at temperatures as cold as 10 Kelvin (-263°C, -442°F); it is amazing that even at these cold temperatures so close to absolute zero, there is still enough energy for bonds to form between atoms. Similarly, much of the chemistry taking place happens in far less dense regions than that on Earth, so the fact that any molecules can find each other to react is nothing short of astronishing. Even more amazing, interstellar chemistry is bombarded by radiation—UV, X-ray, thermal—from evolving stars whereas chemistry on Earth's surface is by contrast well-protected by our atmosphere. Now that you know more about what astrochemistry is as a field, you might wonder, why study astrochemistry at all? Astrochemistry gives us a glimpse at a primitive molecular world, a sort of chemical archaeology in space, by which nearly 200 interstellar molecules have been detected. These molecules include common compounds found on Earth, like sodium chloride (NaCl), more commonly known as table salt, and ethanol (C2H5OH), which is the alcohol that makes beer and wine adult beverages. Other interstellar molecules are ones not found on Earth at all, many of which I could not have dreamed of being possible as an undergraduate chemistry major. My favorites under this category are long, unsaturated (i.e. with few hydrogen atoms) carbon chains called cyanopollynes (cyano as in cyanide or -CN, pollynes meaning many triply-bonded carbons) like HC9N, or cyanooctatetrayne. Ball-and-stick model of cyanooctatetrayne, or HC9N. Hydrogen is shown in light grey, nitrogen in blue, and carbon in black. 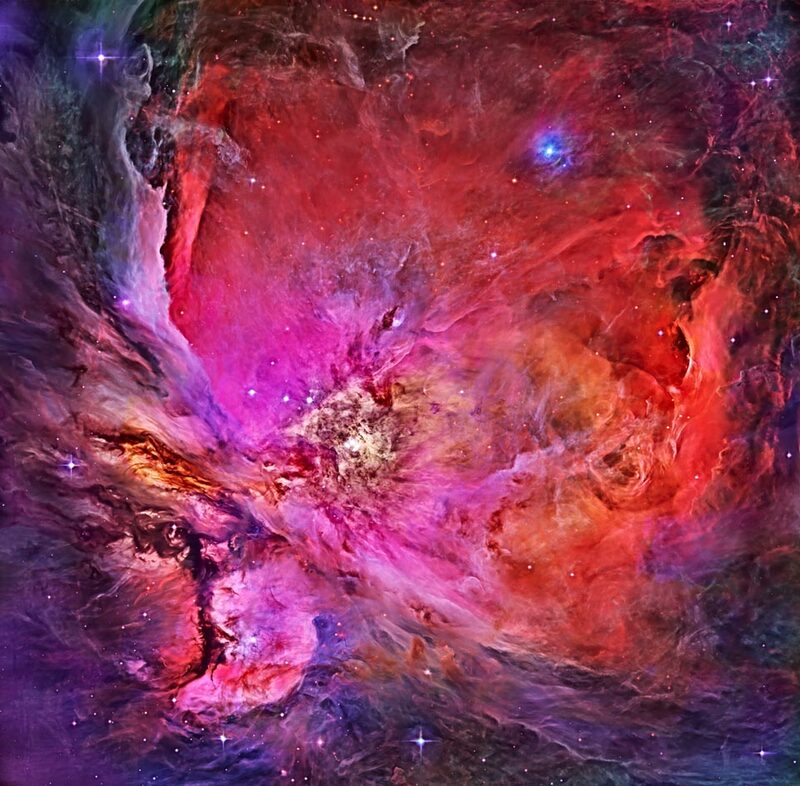 Astrochemistry can show us how chemistry takes place in laboratories uncontaminated by the complexity of life (at least as far as we know), but it can also show us so much more. By studying molecules in space, we can understand the physical structure of objects. For instance, SiO (silicon monoxide) traces protostellar outflows and is an example of how chemistry can help us distinguish whether emission is from a parent molecular cloud of from a newly formed star, as well as the nature of the physical processes happening in an observed region. Chemistry can also be used to understand the history of various objects. The ratios of different molecules in comets can tell us the temperatures of the regions where these objects formed, similar to how cores of glacial ice extracted from the Arctic can provide a record of Earth's climate history. Astrochemistry can also tell us where exoplanets such as gas giants around other stars formed and whether they migrated to their present location. This is done by comparing the atmospheric composition of observed exoplanets with modeled profiles of the protoplanetary disks from whence they came. Astrochemistry can tell us about the environment around young stars as ionic compounds (charged molecules, typically cationic or positively-charged in protoplanetary environments) and radical species (molecules with an unpaired electron) are produced by various types of radiation coming from a star at different rates. Similarly, temperature and density profiles can provide a look into whether the physics and chemistry within molecular clouds are driven by radiation from the star or by collisions of the molecules therein. Whatever your interest in astronomy, whether it be diffuse molecular clouds or fully-formed planets, astrochemistry has much to teach us about space.